Featuring a compact and lightweight design, the Artisan Food Chopper is the ideal choice for quick and small cooking tasks – including dressings, sauces and single-serve meals. 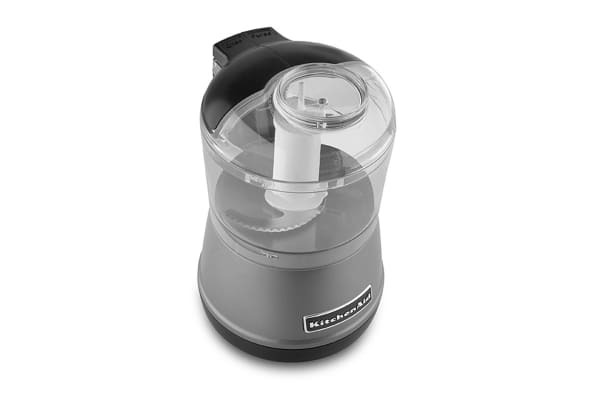 Enjoy the flexibility offered by the Artisan Food Chopper, which comes equipped with a convenient 2-speed operation. With a single touch you can select whether you’d like to chop or puree – making it the ideal choice for single-servings, chopping vegetables or pureeing dressings and sauces. The Artisan Food Chopper has been designed with the user’s convenience in mind. Featuring a simple, sleek and ergonomic design, this kitchen essential allows for easy one-handed operation. What’s even more impressive is the uniquely designed stainless steel blades, which offer a clean and swift cut for all chopping and pureeing.